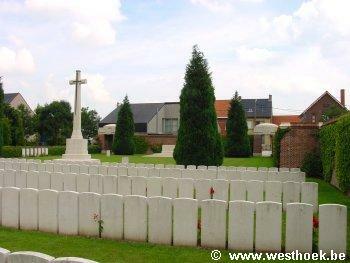 Poperinghe Old Military Cemetery is located 10.5 Km west of Ieper town centre, in the town of Poperinge itself. From Ieper Poperinge is reached via N308. From Ieper town centre the Poperingseweg (N308), is reached via Elverdingsestraat then directly over two small roundabouts in the J.Capronstraat. The Poperingseweg is a continuation of the J.Capronstraat and begins after a prominent railway level crossing. On reaching the town of Poperinge the left hand turning from the N308 leads onto the R33 Poperinge ring road. 1 Km along the N33 lies the right hand turning onto Deken De Bolan. 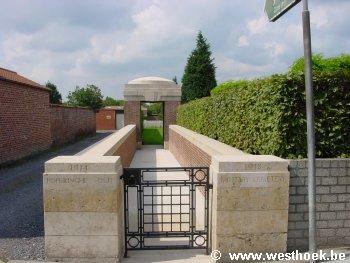 The cemetery is located 200 metres from the ring road level with the junction with Polenlaan, on the right hand side of the road. 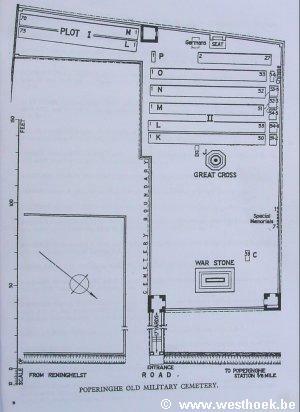 The town was in British occupation during practically the whole of the War. It was important as being, though sometimes bombed or bombarded at long range, the nearest place to Ypres which was both considerable in size and reasonably safe. 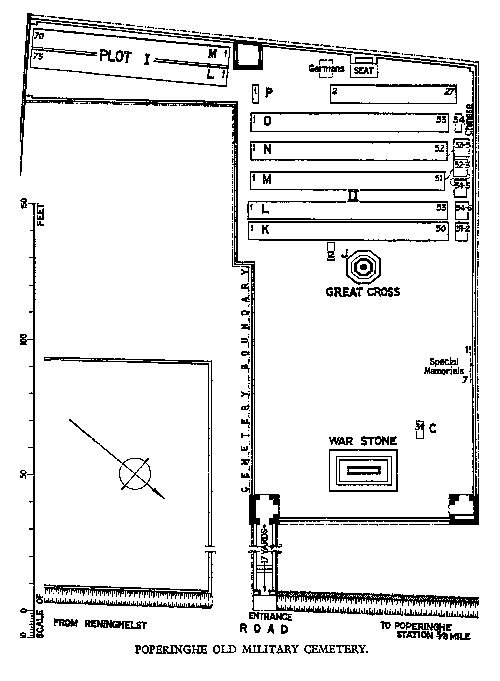 It was at first a Casualty Clearing Station centre, but in 1916 these units were moved further back and Field Ambulances took their place. 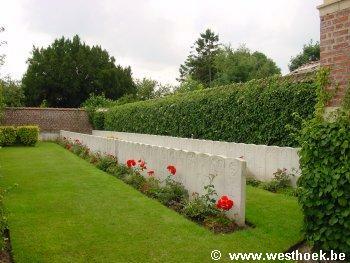 Poperinge Old Military Cemetey was begun in October, 1914, and closed to British burials in May, 1915, but one man of the Chinese Labour Corps was buried in Plot II, Row O, in May, 1919. The graves of about 800 French and Belgian soldiers and nearly 500 civilians were removed after the Armistice; the civilians died, for the most part, in an epidemic of typhoid at the end of 1914, and were buried from an emergency hospital in the neighbouring Chateau (now destroyed). 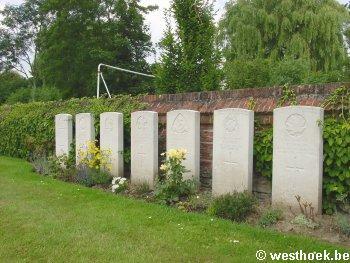 There are now over 400, 1914-18 war casualties commemorated in this site. Of these, over 20 are unidentified and special memorials are erected to five soldiers from the United Kingdom and two from Canada, known or believed to be buried among them. 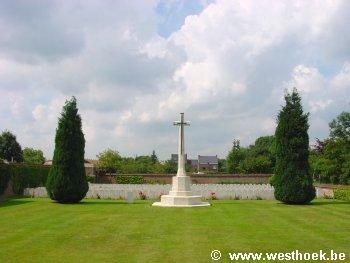 The cemetery covers an area of 1,851 square metres and is enclosed by a red brick wall.